The Cabinet also gave the approval for transfer for selling of Transferable Development Right (TDR) Certificate received/receivable against the transfer of land to MMRDA/MCGM. Union Cabinet chaired by PM Narendra Modi has given ex-post facto approval to transfer the land of Rashtriya Chemicals & Fertilizers Ltd. (RCF) to Mumbai Metropolitan Regional Development Authority (MMRDA). Reacting to this announcement, the stock is currently trading at Rs74 up by Rs6.25 or 9.23% from its previous closing of Rs67.75 on the BSE. The scrip opened at Rs78.55 and has touched a high and low of Rs79.85 and Rs74.70 respectively. 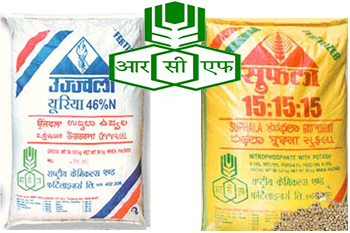 RCF is a fertilizer and chemical manufacturing company. The government holds 75% equity stake in the company. Its revenue mix consisted of ~88% of fertilizers and ~12% of industrial chemicals in Q1FY19. RCF is planning to set up 3,850MTPD urea and 2,200MTPD ammonia plants in Odisha through an investment of Rs7,700cr to be made by the joint venture. For this, it has signed MoUs with Coal India, GAIL and FCIL to cater to increased urea demand. Further, demand revival is expected as Ministry of Fertilizers aims to stop import of urea completely by FY22. This coupled with good monsoon would lead to overall revenue CAGR of ~6% over FY18-20E. However, increasing gas prices which is used as input feedstock is expected to keep margins under pressure. Owing to this, we estimate EBITDA margin to remain at 6% over FY18-20E. We project PAT CAGR of 17% over FY18-20E. Debt equity ratio is expected to be remain at 0.6x in FY20.